The World Mining Congress (WMC) is an international non-governmental organization that gathers specialists and scientists from different countries working in the sphere of development of solid mineral deposits. The World Mining Congress (WMC) has been held once every 2-3 years since 1958. The main task of the Congress is to promote scientific and technical cooperation for the progress in the sphere of mining science and technology, as well as environmental protection and industrial safety. 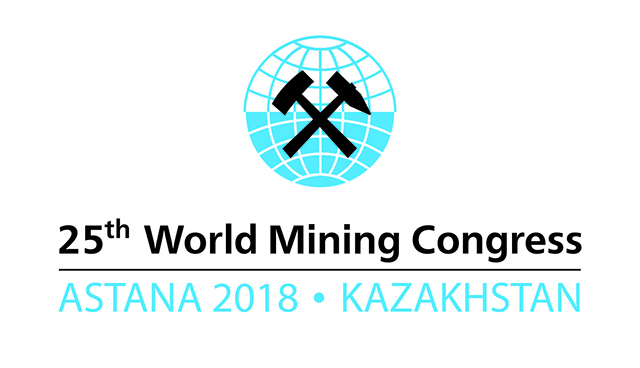 In the framework of the 25th Anniversary World Mining Congress a number of thematic sessions, which will cover the entire chain of MMC: from exploration and extraction to enrichment, from risk assessment to attracting international funding, will be held. In parallel with the conference there will be the international exhibition, as well as a number of industrial tours during which the participants will be introduced with the scientific institutions and industrial enterprises of the hosting country.